Do you need to know what technique to use to evaluate the reliability of an engineered system? This self-contained guide provides comprehensive coverage of all the analytical and modeling techniques currently in use, from classical non-state and state space approaches, to newer and more advanced methods such as binary decision diagrams, dynamic fault trees, Bayesian belief networks, stochastic Petri nets, non-homogeneous Markov chains, semi-Markov processes, and phase type expansions. Readers will quickly understand the relative pros and cons of each technique, as well as how to combine different models together to address complex, real-world modeling scenarios. Numerous examples, case studies and problems provided throughout help readers put knowledge into practice, and a solutions manual and Powerpoint slides for instructors accompany the book online. This is the ideal self-study guide for students, researchers and practitioners in engineering and computer science. by John Wiley & Sons (the original first edition was published by Prentice-Hall). The book is popularly referred to as the "blue book", in its most recent avatar has a blue cover again and it is a cheaper paperback with most of the remaining errors removed. In the second edition, all the chapters have been thoroughly revised. Many examples and problems are updated, and many new examples and problems have been added. Many of these examples are based on the author's experience working with industry on real-world problems. There is a considerable addition of examples on system availability modeling, wireless system performance and availability modeling, software reliability modeling, and system performability modeling. New material on fault trees and stochastic Petri nets, and numerical solution techniques for Markov chains have been added. Detection of software aging is included as well as statistical estimation of availability is added. A section on the computation of response time distribution for Markovian queuing networks has also been added. Chapter 8, on continuous-time Markov chains, has undergone the most change. Research experience and the application of these methods for last 25 years have been distilled in these chapters as much as possible. The book will be of use as a classroom textbook as well as of use for practicing engineers. Researchers will also find valuable material here. 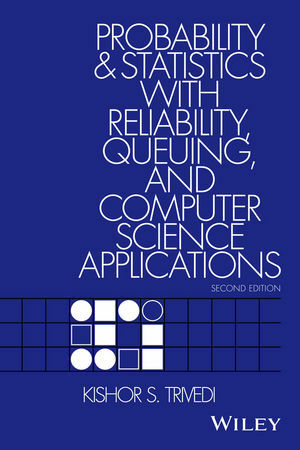 This book provides a variety of probabilistic, discrete-state models used to assess the reliability and performance of computer and communication systems. The models included are combinatorical reliability models (reliability block diagras, fault trees and reliability graphs), directed, acyclic task precedence graphs, Markov and semi-Markov models (including Markov reward models), product-form queueing networks and generlized stochastic Petri nets. A practical appreach to system modeling is followed; and, by use of the SHARPE tool, all of the examples described are solved and analyzed. In structureing the book, the authors have been careful to provide the reader with a methodological approach to analytical modeling techniques. These techniques are not seen as alternatives but rather as an integral part of a single process of assessment which, by hierarchically combining results from different kinds of models, makes it possible to use state-space methods for those parts of a system that require them and non-state-space methods for the more well-behaved parts of the system. The SHARPE (Symbolic Hierarchical Automated Reliability and Performance Evaluator) package is the "toolchest" which allows the authors to specify stochastic modles easily and solve them quickly, adopting model hierarchies and very efficient solution techniques. 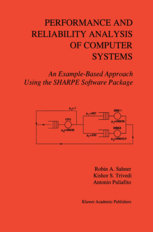 All the models described in the book are specified and solved using the SHARPE language; its syntax is described and the source code of almost all the examples discussed is provided. 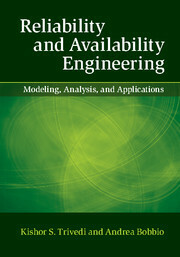 This book is suitable for use in advanced level courses covering reliability and performance of computer and communications systems and by researchers and practicing whose work involves modeling of system performance and reliability. Queueing networks and Markov chains - modeling and performance evaluation with computer science applications; 2nd Edition. Critically acclaimed text for computer performance analysis--now in its second edition The Second Edition of this now-classic text provides a current and thorough treatment of queueing systems, queueing networks, continuous and discrete-time Markov chains, and simulation. Thoroughly updated with new content, as well as new problems and worked examples, the text offers readers both the theory and practical guidance needed to conduct performance and reliability evaluations of computer, communication, and manufacturing systems. Starting with basic probability theory, the text sets the foundation for the more complicated topics of queueing networks and Markov chains, using applications and examples to illustrate key points. Designed to engage the reader and build practical performance analysis skills, the text features a wealth of problems that mirror actual industry challenges. 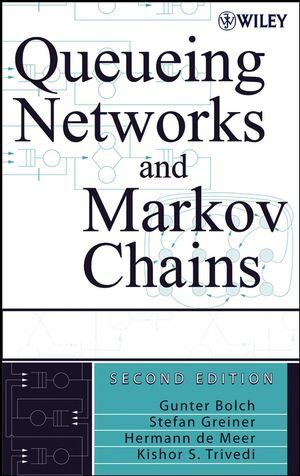 New features of the Second Edition include: * Chapter examining simulation methods and applications * Performance analysis applications for wireless, Internet, J2EE, and Kanban systems * Latest material on non-Markovian and fluid stochastic Petri nets, as well as solution techniques for Markov regenerative processes * Updated discussions of new and popular performance analysis tools, including ns-2 and OPNET * New and current real-world examples, including DiffServ routers in the Internet and cellular mobile networks With the rapidly growing complexity of computer and communication systems, the need for this text, which expertly mixes theory and practice, is tremendous. 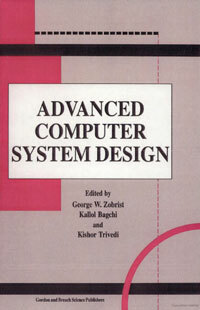 Graduate and advanced undergraduate students in computer science will find the extensive use of examples and problems to be vital in mastering both the basics and the fine points of the field, while industry professionals will find the text essential for developing systems that comply with industry standards and regulations. 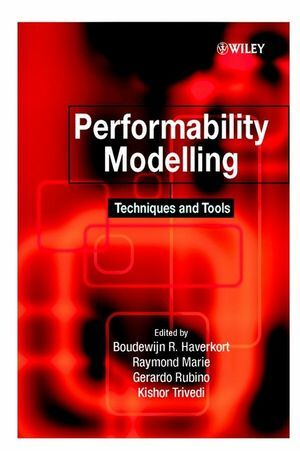 Provides a single-source reference covering of all aspects of performability evaluation. Introduces a new approach to assessing the performance and dependability of systems thus revealing system characteristics that cannot be uncovered separately by performance or reliability evaluation. Capacity of failure prone clusters of transaction processing systems. Network throughput when network nodes and links fail. Task completion times on degradable multiprocessor systems. A variety of modelling and evaluation techniques. Features software tool descriptions to support performability evaluations as well as an extensive bibliography.